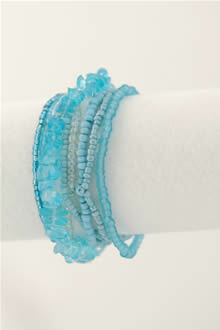 View cart “Bracelet (B-57)” has been added to your cart. 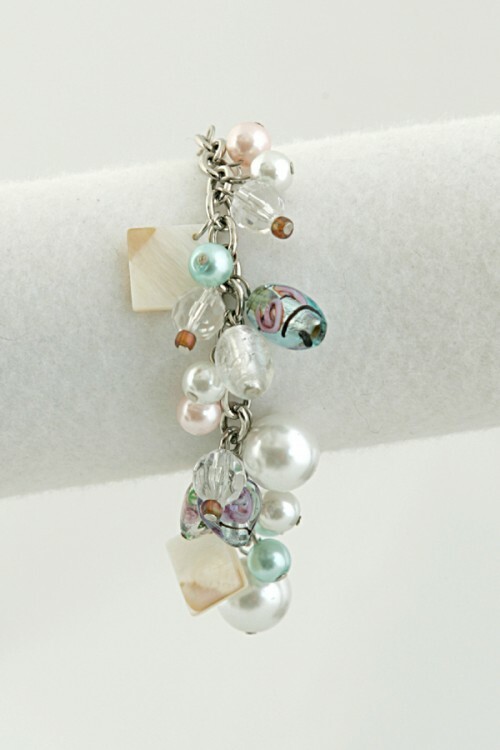 Jewellery Bracelet: Very pretty mix of fancy glass beads and faux pearls in colours of soft turquoise, pink, crystal white. On a chain with a clasp. 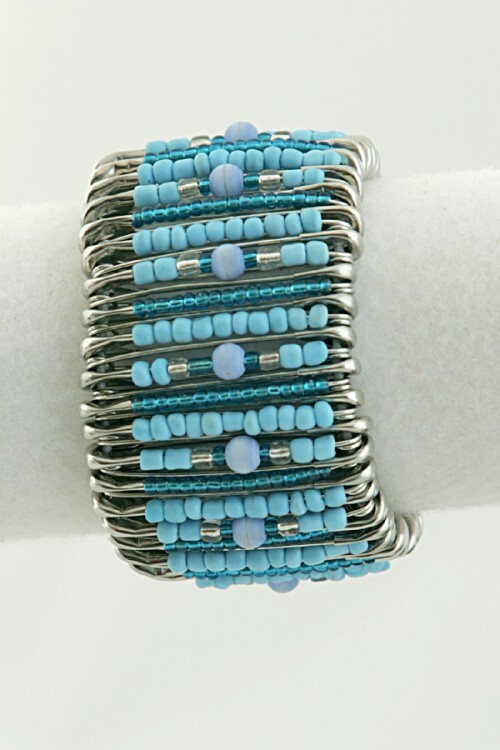 Jewellery Bracelet Zulu made cuff in turquoise, teal and cyrstal coloured beads -stretchy. 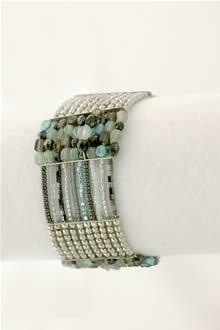 Would suit a larger wrist. Very African style made with safety pins. 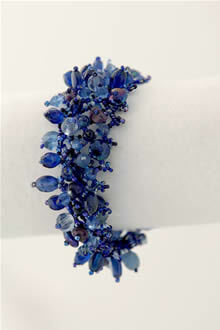 Jewellery Bracelet - Royal blue coloured bead mix. 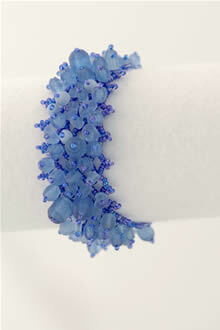 The beads vary in size which creates a 3D effect.Stretchy. 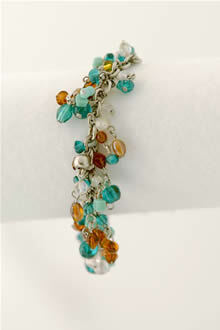 Jewellery bracelet in a lovely mix of turquoise and amber coloured beads on a silver coloured chain. 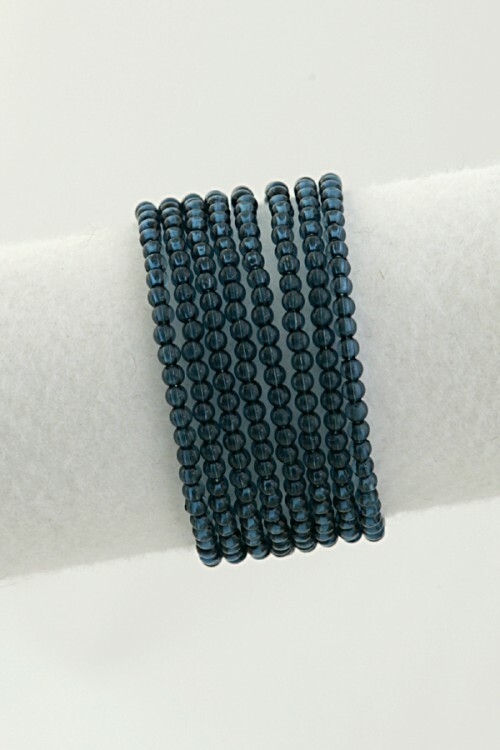 Wide beaded Cuff. 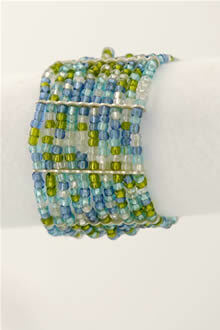 in an effective mix of lime, aqua, blue and crystal coloured beads. 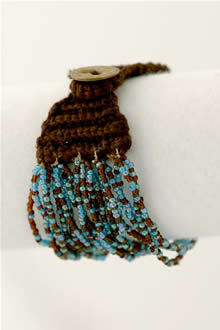 Jewellery Bracelet in a different mix of turquoise and red beads. Stretchy. 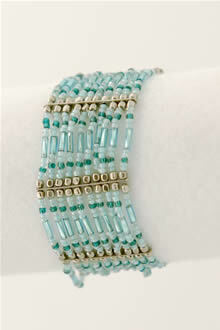 Beaded Cuff in a mix of turquoise and chocolate coloured seed beads with contrasting chocolate close. 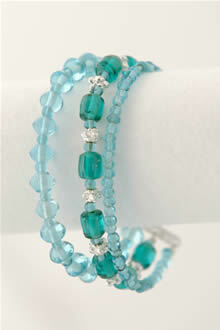 Jewellery - bracelet in a mix of pistachio and mint coloured beads plus chips with a resin centre piece. Stretchy. 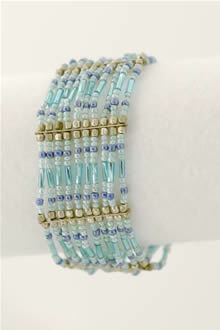 Jewellery bracelet in a mix of turquoise and teal mix with silver coloured beads- matching necklace.